Le Domaine du CASTEX is located on the outskirts of an old village, a bastide: AIGNAN in the middle of department the Gers (Midi-Pyrenees). The bastide Aignan was also called the capital of the Armagnac. It is located in the middle of many green hills with vineyards, maize and sunflower fields and forests. Wine, Armagnac, Floc de Gascogne and duck are the different specialities of the region. The diverse and colourful landscape view, for instance, towards the Pyrenees is breathtakingly beautiful. Close to the Pyrenees, with all its activities, lies the city of Lourdes (80 km), which is worth a visit. Legendary in the Gers is d'Artagnan, the fourth musketeer, whose story is well known, as well as the museum in Lupiac which is named after him and the special “Santiago de Compostella pilgrim route”. The environment is very pleasant for people who like to make trips, either by foot or by horse as well as for mountain bikers. Look on the website of the Tourist Information Office Aignan, Armagnac/Adour, for the surroundings.. The climate in the Gers is “Mediterranean-Atlantic”, there can be 60 -80 days with temperatures of 25 °C. Spring starts early and gives an early feeling of summer. This is the most appreciated season for touring cyclists and hikers. One can still see the snow on the summits of the Pyrenees when the cornfields start to grow on the Gascony hills. 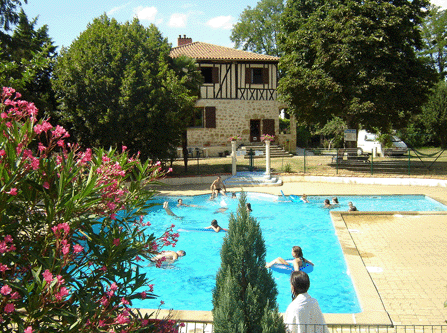 In the tranquil and green surroundings, you're welcome at Le Domaine du Castex *** (Campsite/ Accommodation), in Aignan. 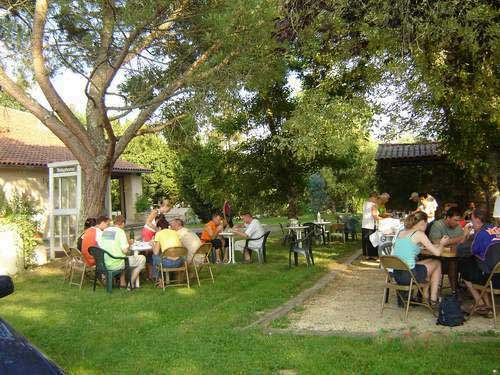 The “Bas-Armagnac” landscape of rolling hills and a scene of paradise create an atmosphere in which Arie and Hannie Ransijn, the owners, invite you for a “table d'hôtes (all home made with special care) or a drink at the bar where you can relax. 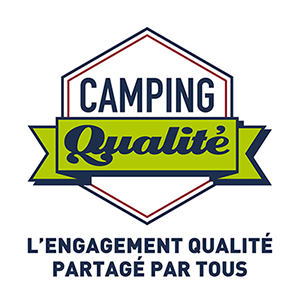 For accommodation you can choose between apartments, rooms (labelled with 3Cles Clévancances), wooden chalets, mobile homes, large pitches and an “Aire de Campingcar" (terrain for motor homes) with pavement. Therefore the possibility for everyone to have a good time either on the lawn, on the edge of the swimming pool or on one of the terraces, not to mention the children's playground and trampolines. Come and spend a perfect holiday at Le Castex! The Campsite, the 2 apartments, the 5 rooms, the 7 wooden chalets and the 2 mobile homes are at your disposal in a natural, green and peaceful environment!